For additional event listings, updates and changes, visit our online calendar. Visit www.WakeUpNaturally.com to connect with us on Facebook and Twitter. Messages from Spirit Group Event – 2:30-4:30pm. Find comfort and closure with medium Joan Carra with messages from spirit. Small Group. $55. Wainwright House, 260 Stuyvesant Ave, Rye. Register/info: 203.531.6387. PsychicJoanCarra.com. Qi Gong Class – Learn how to reduce stress while enhancing one’s life force through guided breath, intention and specific movements. $10. Sacred Space Healing Arts Studio, 436 Main St, Beacon. Register, Lorraine: 845.416.4598. EmpoweredByNature.net. Healing Pets – 11am-12:30pm. Learn healing techniques to help pets heal. Group members need to bring small stuffed animal to represent pet. $35. Mahopac. Details: 845.228.8132. MELT Workshop – 7-8:15pm. Join Marisa Duffy to learn this treatment to stretch and hydrate the body’s connective tissue, Alleviating pain, improving alignment and body function. $25. The Rivertown Center for Yoga & Health, 343 Broadway, Dobbs Ferry. Info: Beth Bierko 914.384.9983. Register: RivertownYoga.com. Four-week MELT Series – Mar 2-17. 12:30-1:45pm. With Joy Jacobson. MELT method is a simple self-treatment method that eliminates chronic pain and improves performance using small balls and soft foam rollers. $30 preregistration required. Quest Yoga Arts 11-13 E Main St, Mt Kisco. 914.241.9642. Register: QuestYogaArts.com. Introduction to Mindfulness Meditation – Mar 4 & 18. 7-8:15pm. With Melanie Ryan. Learn appropriate posture and meditation technique to begin or support one’s meditation practice. Tibetan Buddhist Meditation Shambhala Lineage. Registration: $30 per class or two for $50. Mt Kisco. 914.260.1696. TheCenterForHealthAndHealing.net. Garden Talk: Container Gardening – 7pm. Sponsored by the Garden Club of Yorktown Amy Wilbur from Sweet Dirt Design/Container Gardens. Open to the public, no registration. John C. Hart Memorial Library, 1130 Main Street, Shrub Oak. Info: 914.245.5262; yorktownlibrary.org. Adult Guided Channeling/Meditation Group – 7:15-8:15pm. With Merrill Black, LCSW/Reiki Master. Unique theme, guided meditation, group discussion. The Temperance Center, 453 White Plains Rd, Ste 203, Eastchester. $15. 914.793.2600. TheTemperanceCenter.com. Gong Meditation – 7-8pm. Relax to the healing and restorative sounds of the Gong. Experience a sense of calm and inner tranquility. Golden Temple Yoga, 223 Katonah Ave, Katonah. 914.232.3473, goldentempleyoga.com. The Healers Lounge – 10-11:30am. A free networking group for holistic practitioners. Quest Yoga Studio, 11 East Main St, 2nd Flr, Mt Kisco. 914.260.1696. TheCenterForHealthAndHealing.net. Crystal Singing Bowl Meditation – 12-1pm. With Leydin. Experience the deep relaxation, soothing and healing benefits of being immersed in the sound of seven crystal singing bowls and a crystal singing pyramid. $20. Katonah Yoga, 39 Main St, Bedford Hills. 443.465.8063. Reiki Refresher Class – 7pm. Review for Reiki; hand positions and a guided meditation to reacquaint one with Reiki guides. Be reattuned. $60. Hands of Serenity Healing, 1129 Main St, Fishkill. Register: 845.896.1915. HandsOfSerenityHealing.com. Core Principles – 7-8:30pm. With Kate Petagine. Introductory workshop to the fundamental principles of Pilates, a prerequisite to group mat Pilates classes. $25. Inner Balance Studio, 1072 Rte 311, Patterson. Preregister: 845.878.7800. InnerBalanceStudio.org. Adult Guided Channeling Meditation Group – 7:15-8:15pm. With Merrill Black, LCSW/Reiki Master. Unique theme, meditation, group discussion. The Temperance Center, 453 White Plains Rd, Ste 203, Eastchester. $15. 914.793.2600. TheTemperanceCenter.com. Introduction to Foot Reflexology LES429 – 9am-1pm. With Lorraine Hughes. Introduction, history and overview of Reflexology. Receive a foot map, hands-on experience and techniques to use on self and family. $45 class and materials fee. Dutchess Community College South, Wappingers Falls. Register: 845.431.8910. SunyDutchess.edu/cfweb. Soil & Composting Workshop – 1-3pm. Learn how soil and compost to help one start growing nutritious, fresh vegetables and herbs. $40. Registration required. Hilltop Hanover Farm & Environmental Center, 1271 Hanover St, Yorktown Hts. 914.962.2368. HilltopHanoverFarm.org. Reiki I Class – Mar 7-8. 1-5pm. Sat & Sun. With Anne Bentzen, Usui/Karuna Master, Jikiden Reiki practitioner. Learn self-healing benefits of Reiki, history, chakras, hand positions and four attunements. $150 includes manual/certificate. Unitarian Universalist Fellowship, 236 S Bedford Rd, Mt Kisco. Preregister by Mar 2: 914.588.4079. Expand Your Intuition Workshop 101 – 10:30am-12pm. With Merrill Black, LCSW/Reiki Master. Experiential workshop to tune in and expand abilities. $30. The Temperance Center, 453 White Plains Rd, Ste 203, Eastchester. 914.793.2600. TheTemperanceCenter.com. Family Reiki – 11am-4pm. Opportunity to share Reiki with one’s child. History of Reiki, lessons on the “power centers” (chakras), a Level l attunement, heart connection exercises, Reiki hand positions and self-healing. Hands of Serenity Healing, 1129 Main St, Fishkill. Register: 845.896.1915. HandsOfSerenityHealing.com. All I Need to Know About Life I Learned on the Radio – 2pm. An hour of inspiration with Kacey Morabito–Grean of 100.7 WHUD. She creates an inspiring and uplifting hour of entertainment. John C. Hart Memorial Library, 1130 East Main St. Shrub Oak. Seeds of Intention for Happiness & Freedom – 4-6pm. Intentions, thoughts and words all have power and the source of that power comes from oneself.. All levels. $35 preregistered. $45 door. Quest Yoga Arts 11-13 E Main St, Mt Kisco. 914.241.9642. Register: QuestYogaArts.com. International Women’s Day Meditation – 6pm. Journey with Kim Votry’s CD “Stages of a Woman’s Life,” a guided meditation under the Egyptian moon. $15. Hands of Serenity Healing, 1129 Main St, Fishkill. Register: 845.896.1915. HandsOfSerenityHealing.com. StarVisions Healing Circle – 7pm. With Anne Bentzen, Reiki Master. Connecting wisdom and energy principles to one’s life. Experience deep energy healing in group setting. Max 18. $25. Student rate $15 Unitarian Universalist Fellowship, 236 S Bedford Rd, Mt Kisco Preregister: 914.588.4079. Learn Energy techniques to help access higher self – 11am –12:30pm. Group members, discussion of Spirit and Guides. $35. Mahopac. Details: 845.228.8132. Yoga for Skiers – Mar 10-31. 7-8:15pm. Improve performance, boost endurance, decrease chance of injury and reduce day-after soreness. All welcome. No previous yoga experience necessary. $100 four week series. $30 per single class. Quest Yoga Arts 11-13 E Main St, Mt Kisco. 914.241.9642. Register: QuestYogaArts.com. Monthly Singing Circle – Sing and tone, basking in healing vibration and the company of loving hearts. $20 suggested donation. The Rivertown Center for Yoga & Health, 343 Broadway, Dobbs Ferry. Info: Beth Bierko 914.384.9983. Register: RivertownYoga.com. Adult Guided Channeling/Meditation Group – 10-11am. With Merrill Black, LCSW/Reiki Master. Unique theme, meditation, group discussion. $15. The Temperance Center, 453 White Plains Rd, Ste 203, Eastchester. 914.793.2600. TheTemperanceCenter.com. National Nutrition Month Supermarket Tours – 12pm, 2pm, & 4pm. Join Retail Registered Dietitian, Tanya Lopez, MS, RD for a nutrition themed supermarket tour. Free education materials and nutrition information provided. Free. Reservations required. ShopRite of Poughkeepsie, 1895 South Rd. Register, Tanya: 845.467.0846. Northern Westchester Believe, Inspire, Grow Meeting – 12-2pm. BIG. is a women’s empowerment organization designed to help women of all ages identify and embrace their true life purpose, both professionally and personally. The Burger Barn, Somers. 914.646.5766. BelieveInspireGrow.com. Vision & Success in School – 7-9pm. Discover tools to identify children having trouble learning. As many as 25 percent of children in any classroom have vision problems that keep them from reaching their potential. Free. Dr Samantha Slotnick, 495 Central Park Ave, Ste 301, Scarsdale. RSVP, Jane: 914.874.1177. DrSlotnick.com. Readings & Healings – Mar 13-l7. 10am-6pm. Fri-Tues. With Shaman Elka Boren. Synchronicity, 1511 Rte 22, Brewster. Must RSVP: 845.363.1765. synchronicityny.com. “Whole Foods” Approach to Decreasing Inflammation – 1-3pm. Culinary Nutritionist Mary Opfer will cook and discuss common foods that possess anti-inflammatory properties and which ones are pro-inflammatory. $35. Registration required. Hilltop Hanover Farm & Environmental Center, 1271 Hanover St, Yorktown Hts. 914.962.2368. HilltopHanoverFarm.org. Mindfulness for Parents – 6-8pm. EquineEnergetix presents how to fold mindfulness in as a coping strategy for everyday living with children. Info: 212.477.4475; EquineEnergetix.com. Reiki Circle – 7-8:30pm. With Jackie Muller, LCSW, Reiki teacher. $15. Inner Balance Studio, 1072 Rte 311, Patterson. 845.878.7800. InnerBalanceStudio.org. Archangel Healing Workshop – 7-9pm. With Shaman Elka Boren. $35/pp. Synchronicity, 1511 Rte 22, Brewster. Must RSVP: 845.363.1765. synchronicityny.com. Second Saturday Divorce Workshop – 9-11:30am. Address the legal, financial and personal issues of divorce. With the guidance of trained professionals, participants will gain a greater understanding of the confusing divorce process. 100 S Bedford Rd, Ste 340, Mt Kisco. Register/info: SecondSaturdayWestchester.com. Soul Painting: Art & Yoga Kundalini Yoga and creative expression – 9am-2pm. All levels welcome, no art experience necessary. $63 Golden Temple Yoga, 223 Katonah Ave, Katonah. 914.232.3473, goldentempleyoga.com. Edible Native Landscapes – 10am-12pm Certified Horticulturist Master Gardener, Kim Eierman discusses which plants are the best choices for one’s landscape and how they improve the backyard ecosystem. $40. Registration required. Hilltop Hanover Farm & Environmental Center, 1271 Hanover St, Yorktown Hts. 914.962.2368. HilltopHanoverFarm.org. MELT Self-Care– 1-2pm. With Marisa Duffy. Space is limited, reserve space. $25. Rivertown Center for Yoga and Health. 343 Broadway, Dobbs Ferry. Registration required: 914.673.0919. RivertownYoga.com. Community Yoga – 12-1:15pm. Practice approachable from any level, admission by donation of personal care products for the Pawling Community Resource Center. Inner Balance Studio, 1072 Rte 311, Patterson. InnerBalanceStudio.org. Building Our Inner Resources On & Off the Mat – Practices for Spring – 2-5:30pm. Senior Kripalu teacher, Brahmani Liebman leads practices to keep us strong and centered transitioning to a new season. $65 advance, $75 door. The Rivertown Center for Yoga & Health, 343 Broadway, Dobbs Ferry. Info: Beth Bierko 914.384.9983. Register: RivertownYoga.com. Restorative Yoga Workshop –4-6pm. With Karla Diamond. Relaxing yet powerful practice that everyone can benefit from. Release deeply held tensions, calm nervous system, strengthen immune system and increase self-awareness. $25 preregistered. $30 door. Quest Yoga Arts 11-13 E Main St, Mt Kisco. 914.241.9642. Register: QuestYogaArts.com. 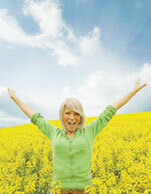 Eat Well Be Happy Six Week Weight Management Class – Mar 16-Apr 20. 4:30-5:30pm. With Tanya Lopez, MS, RD, Retail Registered Dietitian. Weekly nutrition tips. Reservations required. Free each Monday for six-weeks. ShopRite of Poughkeepsie, 1895 South Rd. Register, Tanya: 845.467.0846. Adult Guided Channeling/Meditation Group – 7:15-8:15pm. With Merrill Black, LCSW/Reiki Master. Unique theme, meditation, group discussion. $15. The Temperance Center. 453 White Plains Rd, Ste 203, Eastchester. 914.793.2600. TheTemperanceCenter.com. Westchester Holistic Network – 8-10am. It’s not just for practitioners. All welcome. Friendly people, and speaker. Free to members; $10 non-members. Panera Bread Company, One North Broadway, White Plains. WestchesterHolisticNetwork.org. Emotion Code – 11am-12:30pm. Experience the benefit of this non-invasive healing modality. Release stress for self and pets. Carmel. Info: 845.228.8132. PutnamHealingarts.com. Evening Satsang– 7-8:30pm. With Prem Sadasivananda. Meditation, chanting and dharma talk with master teacher and former Director of the Sivananda Center. $20. The Rivertown Center for Yoga & Health, 343 Broadway, Dobbs Ferry. Info: Beth Bierko 914.384.9983. Register: RivertownYoga.com. 4th Annual Sacred Being Health and Wellness Fair – 10am-4pm. Free workshops on dealing with emotional trauma, depression, anxiety, stress and other symptoms of PTSD. Free Reiki, mini massages, seed swap and more. Free admission. Locust Grove Estate, Poughkeepsie. 845. 849.2205; green-brain.org. Finger Lakes School of Massage Open House – 6-8pm. Alumni, instructors and current students will be on hand to talk about how to turn the gift of touch into a career in the growing field of therapeutic massage therapy. 272 N. Bedford Rd, Mount Kisco. Info: FLSM.com. 914.241.7363. Introduction to Mindfulness Meditation –7-8:15pm. With Melanie Ryan. Learn appropriate posture and meditation technique to begin or support one’s meditation practice. Tibetan Buddhist Meditation Shambhala Lineage. Mt Kisco. Registration: $30 per class or two for $50 (Mar 4 & 18). 914.260.1696. TheCenterForHealthAndHealing.net. Winter Open House at An Ever Clean Life – Meet Bridget Soto, organic skin care expert; discounted organic facials. Appointments required, call 914.260.0021. An Ever Clean Life offers colon cleansing, nutritional support and more. 1133 Pleasantville Rd. Briarcliff Manor. Info: 914.409.7760. AnEverCleanLife.com. Lecture About Inexplicable Spiritual Healings – 7pm. With F. Gringinger, MD. Lecture about medically inexplicable healings that have been documented and verified by independent physicians. Free, donation appreciated. Crowne Plaza Hotel, Ballroom A, 66 Hale Avenue, White Plains. Info: bruno-groening-w.org/english. 212.714.5379. Holistic Moms Hosts: All About Essential Oils – 7:30pm. Stephanie Webb became interested in essential oils due to desire to treat her children safely and naturally. Trained in their usage in a therapeutic health setting. Rye Free Reading Room, 1061 Boston Post Rd. HolisticMoms.org. Drum Circle to Welcome Spring – 7pm. Join Damon Jackson from A.L.I.R.A.M. for an evening of rhythm and joy. $15/pp. $25 family. Inner Balance Studio, 1072 Rte 311, Patterson. 845.878.7800. InnerBalanceStudio.org. Adult Guided Channeling Meditation Group – 7:15-8:15pm. With Merrill Black, LCSW/Reiki Master. Unique theme, meditation, group discussion. $15. The Temperance Center, 453 White Plains Rd, Ste 203, Eastchester. 914.793.2600. TheTemperanceCenter.com. Coming Back to Center for Spring – 2-5pm. With Joyce Bellish. Tap into innate creativity to explore, identify and return back to the elements of one’s positive core self. Practice guided imagery meditation, art-making and exploration. $55. Registration limited. Quest Yoga Arts 11-13 E Main St, Mt Kisco. 914.241.9642. QuestYogaArts.com. All I Need to Know About Life I Learned on the Radio – 2pm. An hour of inspiration with Kacey Morabito–Grean of 100.7 WHUD. She creates an inspiring and uplifting hour of entertainment. Irvington Public Library, 12 S. Astor Street Irvington. Journey Dance Spring Equinox – 7-8:30pm. Reawaken the senses by moving the body to powerful, fun and funky music. Ends with yoga and a guided relaxation $25 preregistered. $30 door. Quest Yoga Arts 11-13 E Main St, Mt Kisco. 914.241.9642. QuestYogaArts.com. Ubaka Hill – 10am-5:30pm. Music as Medicine, A Full Day Healing Retreat. Join renowned master drum teacher and spiritual healer for a day of learning and healing. Registration: $199. Early bird by Mar 8 $189. Lunch included. Mt Kisco. Group rates: 914.260.1696. TheCenterForHealthAndHealing.net. Chakra Flow-n-Let it Go Yoga – 11am-12:15pm. With Antonia Noonan, RYT 500. Open level using bija manta, vinyasa flow and restorative. $15. The Temperance Center, 453 White Plains Rd, Ste 203, Eastchester. 914.793.2600. TheTemperanceCenter.com. Angel & Toning Workshop – 11am-1pm.With Katie Ciriello. Synchronicity, 1511 Rte 22, Brewster. Must RSVP: 845.363.1765. synchronicityny.com. Pysanky: The Art of the Ukrainian Easter Egg – 1-5pm. Decorated using beeswax and dyes that are applied in layers. These symbols of renewal and life are a joy to create. Explore the history of this practice and create a pysanky to take home. $40 prepaid. Hands of Serenity Healing, 1129 Main St, Fishkill. Register: 845.896.1915. HandsOfSerenityHealing.com. Reduce Stress – 11am-12:30pm. Learn simple yet powerful techniques to help reduce effects of stress. Group members will experience techniques they can use right away. $35. Mahopac. Details: 845.228.8132. Monthly Let Your Yoga Dance Class – 7-8:15pm. Joyful, aerobic practice combining yoga and dancing through the chakras. $20 suggested donation. The Rivertown Center for Yoga & Health, 343 Broadway, Dobbs Ferry. Info: Beth Bierko 914.384.9983. Register: RivertownYoga.com. Adult Guided Channeling/Meditation Group – 10-11am. With Merrill Black, LCSW/Reiki Master. Unique theme, meditation and group discussion. $15. The Temperance Center, 453 White Plains Rd, Ste 203, Eastchester. 914.793.2600. TheTemperanceCenter.com. Book Discussion– 7pm. Last Thurs of each month. Free. 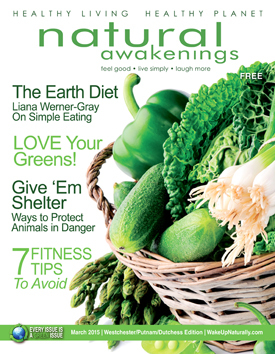 Visit: InnerBalanceStudio.org for this month’s choice. Inner Balance Studio, 1072 Rte 311, Patterson. Women’s Retreat at Wainwright House – 3/27-3/29. With imagery, guided journeys, music and chant, this event will lift spirit, strengthen gifts, and renew collective vision. $295 commuter, $395 non-member. Includes: Two nights stay, healthy, delicious meals. Rye. Info: wainwright.org. All I Need to Know About Life I Learned on the Radio – 7:30pm. An hour of inspiration with Kacey Morabito–Grean of 100.7 WHUD. She creates an inspiring and uplifting hour of entertainment. Q&A to follow. Croton Free Library, 171 Cleveland Dr, Croton-on-Hudson. Open House at Camp Dunnabeck – 10 am. The camp helps intelligent children ages 8-16 with dyslexia and or/language-based learning differences achieve academic success. Horseback riding, tennis and more. Kildonan School campus in Amenia. Info: 845.373.2012. Kildonan.org. Introduction to Kundalini Yoga & Meditation – 10am-12noon. Perfect for new students curious about the technology of Kundalini Yoga. $25. Golden Temple Yoga, 223 Katonah Ave, Katonah. 914.232.3473, goldentempleyoga.com. Qigong Ecstasy & Group Healing – 1-2:30pm. Qigong, The Movement of Life. An experience of Qigong led by Master Robert Peng. Club Fit Jefferson Valley, 600 Bank Rd. Jefferson Valley. $28. Advance registration: $28. Call 914.962.0101. Reiki Master Class – Mar 28 & 29. 9am-5pm. With Reiki Master Marcus Feighery. $675/pp for both classes. Synchronicity, 1511 Rte 22, Brewster. Must RSVP: 845.363.1765. synchronicityny.com. Monthly Teen Guided Mediation Group – 9:30-10:30am With Merrill Black, LCSW/Reiki Master. Ages 13-17. Unique theme. $15. The Temperance Center, 453 White Plains Rd, Ste 203, Eastchester. 914.793.2600. TheTemperanceCenter.com. Happiness Qigong & Group Healing – 3:30-5pm. Qigong, The Movement of Life. An experience of Qigong led by Master Robert Peng. Club Fit Briarcliff, 584 North State Rd, Briarcliff Manor. Advance registration: $28. Call 914.962.0101. Yoga for Golfers – 1:30-3pm. Increase flexibility to lower one’s handicap. Learn secrets the pros use to improve swing. $35 preregistered. $40 day of. Quest Yoga Arts 11-13 E Main St, Mt Kisco. 914.241.9642. QuestYogaArts.com. ADD Just Doesn’t Add Up! – 7-9pm. Is it really a short attention span? Learn current facts and how to distinguish visual problems that mimic or complicate AD(H)D. Free. 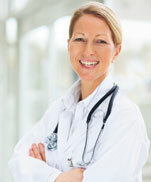 Dr. Samantha Slotnick, 495 Central Park Ave, Ste 301, Scarsdale. RSVP, Jane: 914.874.1177. DrSlotnick.com.